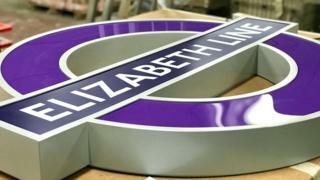 Crossrail - to be known as the Elizabeth Line - has received three financial bailouts, increasing seen the cost of the route from There has been an "unacceptable" lack of accountability over the delays to Crossrail, a report has said.Crossrail, Europe's biggest infrastructure project, had been due to open in December 2018, but will not now open fully until 2020 at the earliest. Three emergency cash injections have seen the cost of the route rise from ?14.8bn to ?17.6bn.The Department for Transport (DfT) said it "absolutely rejects" claims there was insufficient oversight.Both the DfT and Transport for London (TfL) are joint sponsors of the project, which is run through an "arms-length" body, Crossrail Ltd.
A report by the Commons' Public Accounts Committee found an "unacceptably laissez-faire" attitude to project costs from the overlapping organisations. The DfT and Crossrail Ltd "are unable to fully explain how the programme has been allowed to unravel," the report found.All three bodies were "unwilling to pinpoint responsibility to a single individual or entity", the committee said. Four months before the line was due in December 2018 a delay was announced to allow more time for testing. A "fixation on a delivery deadline of December 2018" led to warning signs being missed or ignored when the programme was in trouble, the report said.TfL estimates it will miss out on at least ?20m in revenue due to the delay. Elizabeth Line trains are already operating between Shenfield and Liverpool Street, and between Paddington and Hayes & Harlington.When fully open, the project will help ease London's chronic congestion. Trains will run from Reading and Heathrow in the west through 13 miles of new tunnels to Shenfield and Abbey Wood in the east.Crossrail says the new line will connect Paddington to Canary Wharf in 17 minutes and described the 10-year project as "hugely complex".An estimated 200 million passengers will use the new underground line annually, increasing central London rail capacity by 10% - the largest increase since World War Two. AnalysisTom Edwards, BBC London transport correspondentThe fall from grace for Crossrail continues. This report raises more questions than answers about the beleaguered project and its delay. Again there are questions about governance structures - who was in charge of what bits? - and a lack of oversight and clarity. The Dft gets particular criticism. Londoners will also be annoyed there is still no opening date in sight - the latest news we have is that none of the stations are yet finished - and the testing of trains has hit technical problems. Even opening in 2020 looks unlikely. It's a real, real mess. Committee chair Meg Hillier said: "Passengers were led to believe they would be able use new Crossrail services through central London from the end of last year. "It is unacceptable that Parliament and the public still do not know the root causes of the failures that beset this project. "Accountability in the use of public money is of fundamental importance." The Public Accounts Committee has asked for the DfT to publish an accurate governance structure for the project and "set out clearly what consequences there have been for well-rewarded officials whose costly failures are paid for by taxpayers". A DfT spokesperson said: "The department consistently challenged the leadership of Crossrail Ltd, a wholly-owned subsidiary of TfL, on the delivery of this project. ""As soon as the company admitted delay, the Department and TfL acted swiftly to identify lessons, change the leadership of the Crossrail Ltd board, and strengthen governance and oversight. "Recently installed replacement Crossrail chief executive Mark Wild said: "We take the views of the Public Accounts Committee very seriously and will be reviewing their recommendations carefully. "The Elizabeth line will be completed as quickly as possible and brought into service for passengers. "The team is working extremely hard to establish a new approach through the development of an earliest opening programme for the railway and we will be providing more details later this month."